Great playing , lightweight `61 SG Standard reissue from late 1998 production. 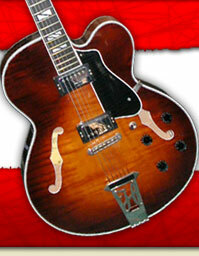 Classic `60s thin neck profile, In solid 8.5/10 condition. frets at least 90%, no visible pitting or gouges. All pickups, electronics , wiring factory original.Usual signs of player wear, 1 small mark on the back of the neck. Top cap of 2nd tone controls is missing, a replacement on the way. Comes with orig Gibson hardcase.